Are Golden Retrievers The Best Choice? Part of Maxxamillion's breed is Golden Retriever. Golden Retrievers simply develop a strong attraction to their owners. They are a preferred dog breed, making great pets, hunting dogs, obedience competitors, show dogs, and even a combination of all these traits. No matter what your intent may be to own a Golden Retriever, you’ll have an excellent dog that will live up to it’s potential and then some. Golden Retrievers are calm, well mannered, and extremely affectionate. They are easy to train as well, very intelligent, and great for those who need a companion. Goldens are also loyal to their owners, lovable, and great with children of all ages. They also make great watchdogs as well, as they will bark loud and let you know when a stranger is near. Like other dogs, Golden Retrievers will shed their hair throughout the year and more in the spring - no matter how many times you brush them a day. They also like to be in and near the water, similar to Labs. If you have any type of water on or near your property, your Golden Retriever will be in it, and tend to be either wet or muddy quite a bit - which can tend to get frustrating. If you are always on the go or never at home, you shouldn’t get a Golden Retriever. If you prefer cats over dogs, you should look into another breed. Golden Retrievers crave attention and admiration, and normally don’t do too well if you leave them at home by themselves for long periods of time. Golden’s need attention, and desire to be around you at all times. If you spend a lot of time at home on the other hand, or have kids, a Golden Retriever will be a perfect addition to your family. A lot of people out there prefer to get a puppy and raise it themselves. This way, the puppy will grow up with the skills they have taught him. This is a great idea and very rewarding, although it can consume a lot of your time and tend to be very frustrating at times. Those who don’t have a lot of time to spare or tend to get easily frustrated, shouldn’t get a puppy. Instead, they should look towards adopting an older Golden Retriever who has already been house broken and trained. 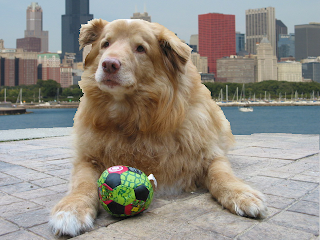 Your local animal shelter is a great start for an older or young Golden Retriever. Golden Retrievers are an excellent breed, and they can provide you with the companionship you have been looking for. They can participate in several activities with you as well, such as hiking, camping, and walking. Goldens love the outdoors, and they love just getting out there and doing things with you and your family. If you include your Golden Retriever in family activities - you’ll have a friend for life who will quickly grow on you over the years. They become part of the family.